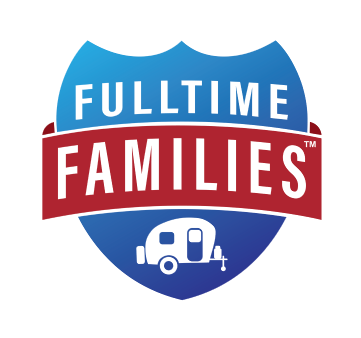 Why would you camp without hookups (water, electric, sewer) when there are SO many nice campgrounds across the country with those amenities available? Because you can. Because you want to. Because those campgrounds can be expensive. Because having close neighbors can lead to a case of claustrophobia. Because there is something empowering about knowing that you can live and ‘camp off the grid.’ Because boondocking is fun! ‘Dry camping’ is a generic term for camping anywhere without hookups, typically for free but sometimes may incur a nominal fee. For example, you dry camp at a Walmart parking lot. ‘Boondocking’ is more specifically referring to camping in nature without hookups. Lastly, ‘moochdocking’ is camping without hookups in your family or friend’s land or driveway. While all of these types of dry camping are similar, we will specifically focus on boondocking. So, you’re ready to try boondocking. First, you need to know where you can go and how long you can stay. Our favorite two sites for finding boondocking spots are Campendium and Allstays which also has a phone app. We try Campendium first. For example, you’ve decided to go to Grand Teton National Park. 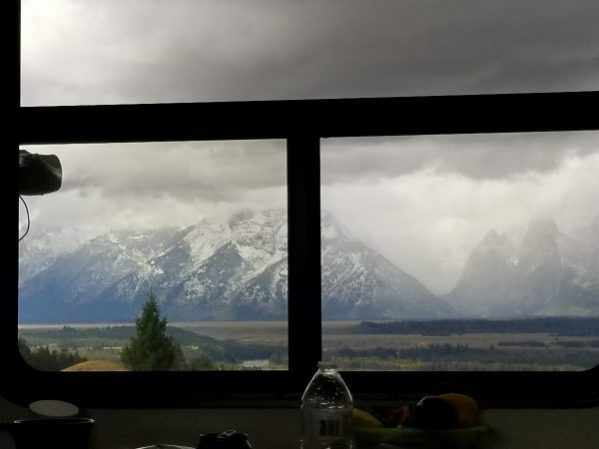 You type “Grand Teton, WY” into Campendium, select price: ‘free’ and hookups: ‘dry camping’ and start scrolling through the results. You’ll see numerous National Forest camping sites with reviews and details. Often these reviews contain GPS coordinates, info on cell phone coverage, and spot sizes. It’s always good to check out the satellite view of the area on Google Maps too. Also, don’t forget to research how long you can stay there; most Bureau of Land Management (BLM) and National Forest Land has a camping limits of 2 weeks. When boondocking it’s always good to have a ‘back up’ spot too in case your primary area is full or sites are already taken. These aren’t campgrounds so there are no reservations. You’ll have no idea if you will be there only people there or if it’s totally full. The best policy is to move there mid-week, especially if trying to boondock during the busy season of an area (or head over with your tow vehicle or toad first to check it out). OK, we’ve decided on a boondocking spot. For this example, we will choose “Upper Teton View, Moose, WY.” It has 40+ reviews on Campendium and seems like a solid choice. We pulled in and are ready to camp. Now what? When you ‘plug’ in at the campground there are 3 things you ‘hook up’ right away. These are the 3 main elements you’ll need to consider (and learn to conserve) for boondocking: water, sewer/grey water tanks, and electricity. When boondocking you need to know how big your fresh water tank is. How big this tank is will enable you to calculate how long you can go without needing to refill it. (If you’ve never used your freshwater tank then you will need to sterilize it with bleach first. You’ll have to first figure out where to fill up on fresh water. We typically plan our camping to fill our fresh water tank at a campground we are staying at before boondocking. 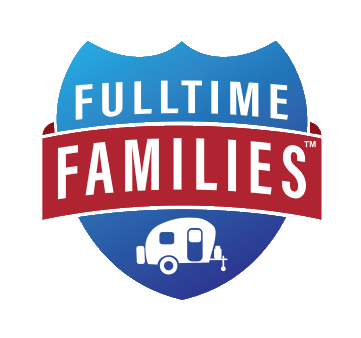 In general, we have found many campgrounds will ‘let’ you fill freshwater sometimes with a small fee. We find that calling nearby campgrounds to ask about this (just use Google to search for campgrounds) or checking sanidumps will be successful. If we are already parked in our boondocking spot we like to use our Aquatank 2 storage bladder (we have the 150 gallon size) vs. hauling our rig over to get fresh water. We place the large water bladder in the bed of our pick up truck and fill up on water, then pump it into our rig with a water pump. Change all your water faucets (Bathroom sink, shower, kitchen sink, etc) to low-flow aerators to help you save water. This is a relatively inexpensive change that can have a big impact on daily water usage. Also, consider switching off the water in the shower when you’re lathering up with soap so the water isn’t running constantly. In general, conserving water is great for the planet not just when boondocking and is something we have incorporated into our daily living. Again, you will want to know exactly how big these tanks are too. Hopefully, you have tank indicators to know when they are full (if your indicators stopped working you can always tell the tanks are full when they start to back up). Dumping tanks on the ground is typically illegal, although some will argue dumping ‘grey’ water is fine if using biodegradable soaps; we bring wastewaterswaters to the dump station. To find where you can dump your tanks we use Campendium (sometimes the reviews on boondocking sites mention where campers dumped their tanks). We also use sanidumps or we check with a nearby campground to see if they have a dump station. So back to our example: Upper Teton View in Moose, WY. The closest zip code is 83012. Type this into Sanidumps and you can find that there is a Shell station in nearby Jackson, WY that is ‘big rig’ friendly and its $5 to dump. Call ahead to any dump station to verify location, cost, and hours that it is open. It’s also good to look at it on Google Maps to get an exact layout of the dump station. As far as dumping is concerned we have a 5th wheel and we use our ‘blueboy” (a 4-wheel tote-along plastic portable waste tank typically blue in color). We use our macerator pump to empty our tanks into our blueboy in the bed of our pickup truck and then drive it to the dump station. You could also physically bring your rig to the dump station but remember to leave something marking your boondocking spot so you don’t go back and find that someone else has set up camp where you were! Remember to bring your propane bottles with you when you go to dump to have those topped off too so you only make one trip to town. What do you need to power and where will you get your power from? The largest users of power in any camper are electric/residential refrigerators, air conditioners, microwaves, space heaters, and dryers. We have a propane refrigerator so we run our fridge on propane when we are boondocking. If you have a residential fridge you will need to account for that when deciding how much power you will need for your set up. 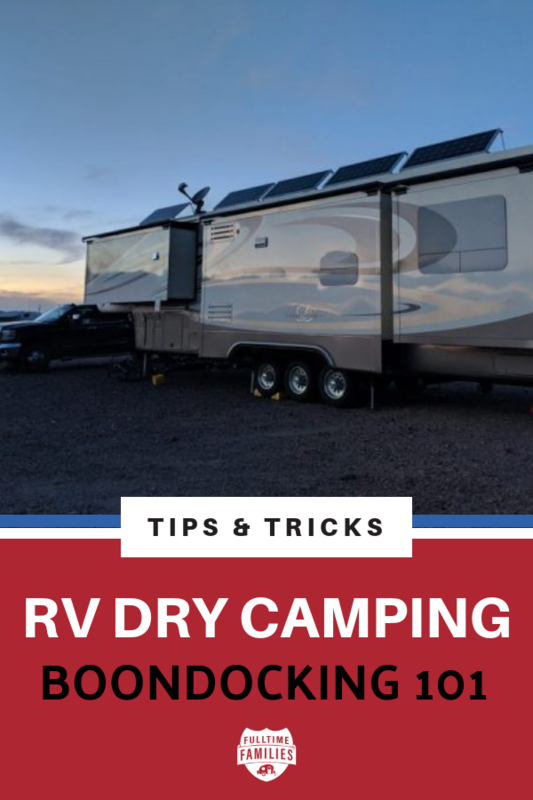 Air conditioners are typically out of the question when boondocking unless you have a ridiculously large power array, so consider that when deciding where and when to boondock. Do not plan to boondock in the blazing heat and humidity of summer! We’ve been there, done that and it’s not fun. Microwaves can be used while boondocking with sufficient power. For heat, we tend to use our Mr. Buddy propane space heater. Camper furnaces are notoriously inefficient both on electric power and when running on propane so we rarely use it. Finally, as far as the clothes dryer is concerned, we usually only run the dryer when the sun is shining brightly or do laundry at the laundromat. Change all the light bulbs in your rig out to LEDS to further conserve energy. What Do You NEED To Boondock? You will need either a generator, batteries, solar, or even better: a combination of these systems. Most people, including us, boondock to enjoy the peace and solitude of nature. We don’t want to be near noisy neighbors and that’s why we left the campground in the first place. Boondocking etiquette calls for minimal use of one’s generator or if using only a generator, parking far from any other boondocking neighbors. The unwritten rule is if you are using your generator non-stop then it should be practically inaudible from 30 steps away. 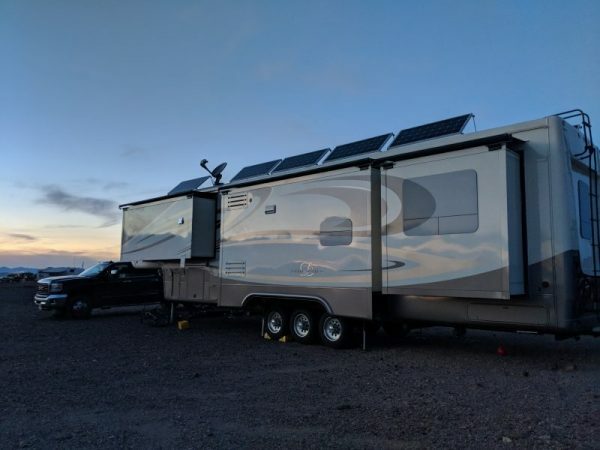 Just as a ‘bad’ neighbor in a campground is one that has a loud dog that barks 18 hours a day right next to you, a similar ‘bad’ neighbor when boondocking is one that runs a 70-decibel construction generator right outside your door 18 hours a day. If you must use a construction generator be sure you are parked as far away from others as possible. When the genny isn’t running or the sun isn’t shining these are what you rely on to get you through until the next charge. There are basically three types and the cost of each doubles the previous (in general): Flooded Lead Acid (FLA), Absorbed Glass Matt (AGM), and Lithium. We won’t get into the details of each here, but the main focus for all three is getting as many amp hours (Ah) of storage that you can. This is what you can use to create 120 Volt AC from your batteries for running anything from a laptop charger to a dryer. There are many types/sizes: from one that can fit in the palm of your hand to one capable of running your entire rig. The key to achieving tranquility! Similar to inverters, solar panels & chargers exist in many shapes and sizes. From a basic portable ground deploy system to a fully covered roof, there is a system out there that can fit your budget and needs. This is a good starter system for keeping LED lights and some electronics charged. And that’s that! All that’s left now is to sit back, relax and take in the view! With a little practice and preparation, boondocking will be only slightly different from camping with full hookups (honestly!) and will open up a whole new world to you. Imagine camping at the foot of the Badlands? Or at the Albuquerque Balloon Fiesta during a Fulltime Families Rally. Or right outside the Grand Tetons? How about beside the Yellowstone River? All for free. Unobstructed views for miles! Peace. Tranquility. Nature. 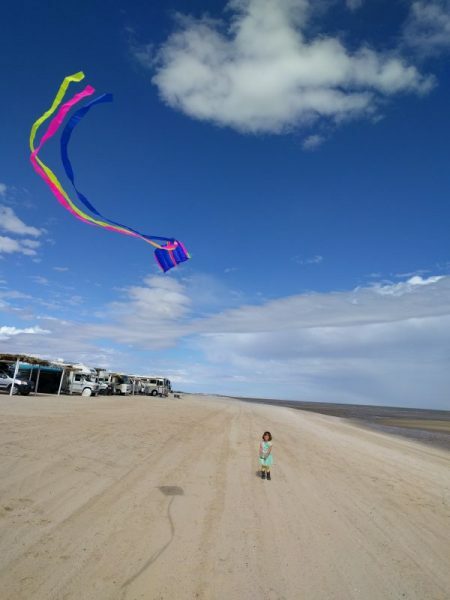 And believe it or not: we’ve met numerous families with children while boondocking too. 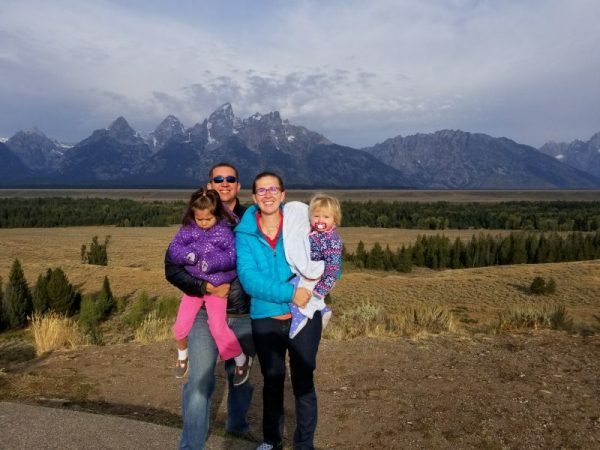 About the authors: Emma and Kevin Ridley have been traveling full time with their two young daughters since 2016. They live in a 43 ft 2011 DRV Elite Suite Manhattan 5th wheel. Freshwater: 100 gallons. Grey water: 150 gallons. Black tank: 50 gallons. Solar: 10 panels (1600 watts total). Onboard generator: Onan 5500 propane. Batteries: 4 large AGM deep cycle batteries. Inverter: 3000 Watt hybrid inverter. They can boondock 10 days without dumping tanks or getting more water, living ‘normally’ without roughing it (i.e. ‘camping’). They typically boondock 40-50% of a year. 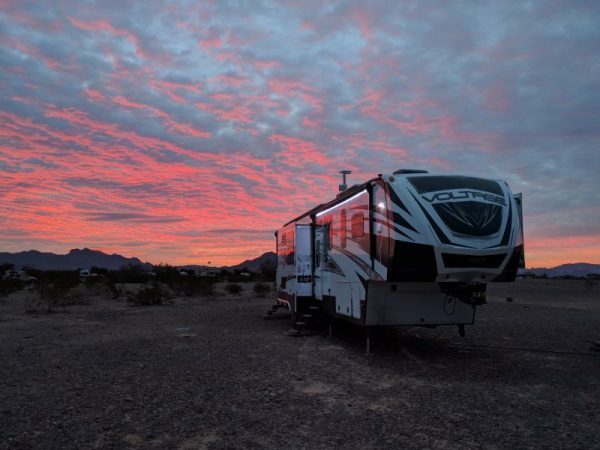 They are by no means boondocking experts, just passionate about campground alternatives. Emma and Kevin maintain a small blog about their adventures for family and friends ‘back home in Maine’ at: wickedwanderers.net and are active members in the Fulltime Families “Boondockers Anonymous” branch. If you’re interested in boondocking they highly suggest that you join.